Here’s our pick of the best places to view IllumiNations fireworks at Epcot. 1 – On the bridge between the UK and France pavilions. Probably one of the best views to be had, confirmed by the fact that the IllumiNations cruise boats stop right under the bridge. 2 – Italy. The Italy Isola (raised part on the lagoonside) is a great view, but very often used for private parties during IllumiNations, so watch from the waterfront on either side. 3 – World Showcase Plaza. Where Future World meets World Showcase, directly across the lagoon from the USA pavilion, in between the gift shops. There are two spots here sectioned off for wheelchair viewing also. 4 – Between Norway and Mexico pavilions. There’s a decent sized stretch with an unobstructed view here, and also a smaller bit on the other side of Norway. 5 – Outdoor terrace at Tokyo Dining. 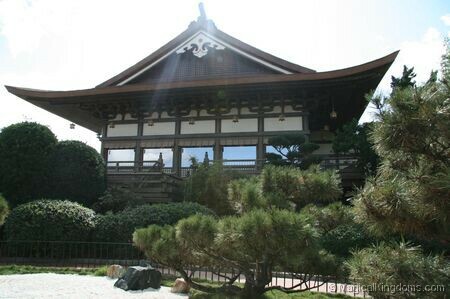 In the Japan pavilion, go upstairs at Tokyo Dining, and round onto the second floor terrace. This is great as it’s covered and elevated. 6 – La Cantina de San Angel at the Mexico pavilion. Currently closed for refurbishment and the addition of the new La Hacienda de San Angel, the outdoor tables provide an excellent view of IllumiNations. You need to arrive early to get a seat and purchase something from counter service. 7 – Mexico pavilion. If you don’t get a seat at La Cantina, try the bridge just past it, as you walk to Future World. 8 – Rose & Crown Dining Room. This restaurant view requires a bit of planning and the purchasing of a meal. Book a table at Rose and Crown Dining Room in the UK pavilion for around 7:30-8pm. Arrive at the restaurant 10-15 minutes before your ADR time and request an outdoor lagoonside table. Although these tables can’t be guaranteed, if you’re prepared to wait you may be lucky. Even if you don’t get a lagoonside table you can still move over to that part of the restaurant when the fireworks start – beware though as there is a canopy over the tables and unless you’re right at the edge some of the higher fireworks may be out of sight. 9 – Canada pavilion. There are a few good spots at the front of the Canada pavilion. 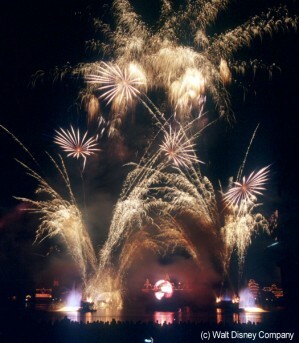 10 – IllumiNations cruise. If you want a different way to view the fireworks, without having to stake out a spot in advance, consider booking an IllumiNations cruise. You can hire a pontoon boat, with driver, that includes sodas and snacks, or splash out and hire “Breathless,” a reproduction of a 1930 mahogany Chris Craft boat. The boats come to a stop under the International Gateway bridge between UK and France. For a larger, zoom-able version of this map with annotations, click here. 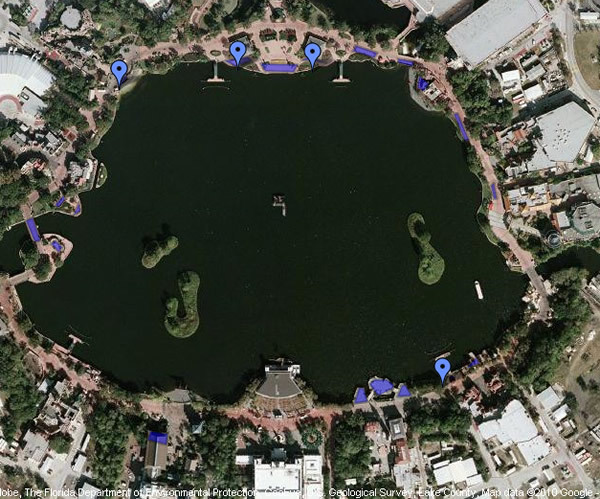 * There are many more great viewing spots to be found around World Showcase Lagoon. Just make sure the view to the center of the lagoon is unobstructed, with no trees or islands in the way. * Some of the best places get filled up quite quickly, with people staking out the best spots up to 90 minutes in advance. If you don’t want to wait for so long you can still find decent places to stand and watch from. * Some places are closed off at night for private parties, such as IllumiNations dessert parties or weddings, so bear this in mind if you think you’ve found a great location in the daytime, it may be sectioned off when you return at night! * Watch out for smoke! Before staking out a spot, check the wind direction. If it’s blowing towards you, try somewhere else, as you’ll get smoke blown in your face for the whole show which kind of ruins the experience and obstructs the views of the fireworks! * If there is a large group of you, or you know a group of internet friends who are visiting at the same time, why not hold an IllumiNations dessert party? Locations include the Morocco Oasis, Italy Isola, UK upper & lower terraces, French Island, and a few other spots. Check back here soon as we’ll be posting videos and pictures of the best places to watch Illuminations fireworks at EPCOT restaurants! …but Animal Kingdom is in Florida. So, what to do? When you’re on the Kilimanjaro Safari ride, the lions seem really close but they can’t get too close to you. Typically, tigers spend about 18-20 hours per day sleeping. On the Maharajah Jungle Trek, Disney uses a program called “enrichment” to wake them up. This involves randomly adding things to their environment to try to stimulate them and keep them moving. Who’d have thought Disney would need to fake asphalt? And it’s all man-made. The tree has 103,000 leaves and each and every one was attached by hand. Seriously. 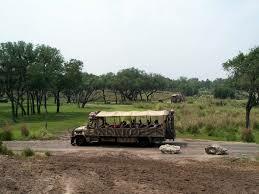 Many people plan their touring plans so they can ride Kilimanjaro Safaris in the morning to see the animals at their most active (although I recommend people who want to ride Expedition Everest do that first and grab a FastPass for Safaris later). One of the methods they use is to place a plant called browse in concrete feeders out in the open areas. The feeders are camouflaged as broken tree limbs and stumps so you’ll never really even notice. Bat experts said it couldn’t be done but Disney did it – they trained the bats at Maharajah Jungle Trek to respond to an audio cue. When it’s time to eat, a dog whistle is blown and the bats head inside for dinner. The imagineers decided to install air conditioning around the lions’ promontory to make it easier for them (and presumably to encourage them to get out and see people in the safari vehicles as well). Animals at Animal Kingdom are living the life. They don’t even have to stay outside at night. Each evening, a sound is used for each species (beating drum, bell, etc.) which is a cute to the animals to head inside to their sleeping quarters. While the animals sleep, the gardeners go out to plant and prune the area to keep up with the animals’ eating habits. 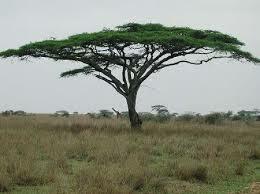 On a real savanna, all animals co-mingle, but of course that’s not the way it works at Animal Kingdom. Disney uses various methods – camouflaged fences, impassable bridges and barriers in water – to keep the animals all separated. Disney works hard to keep these out of view to visitors so it all seems connected even though each species is segregated. Animal Kingdom is a highly underrated park, in my opinion (and I think zoos are really boring). It’s beautiful, the best themed Disney World park and a tremendous amount of work to maintain on Disney’s part. Do you like visiting Animal Kingdom? Have any other secrets to share? Please leave your opinion below and for even more 2016 secrets to WDW Animal Kingdom Park, visit this page and learn all about a top-secret entrance!